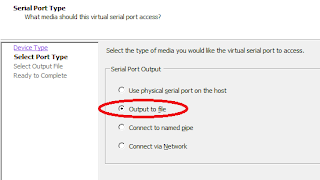 This How To will redirect the Linux console output to a file. Especially useful when you want to collect the full boot log, or full stack trace of a Linux Kernel Panic. 4. Reboot. 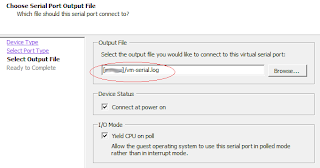 Console output should now appear in the serial output file. 2. 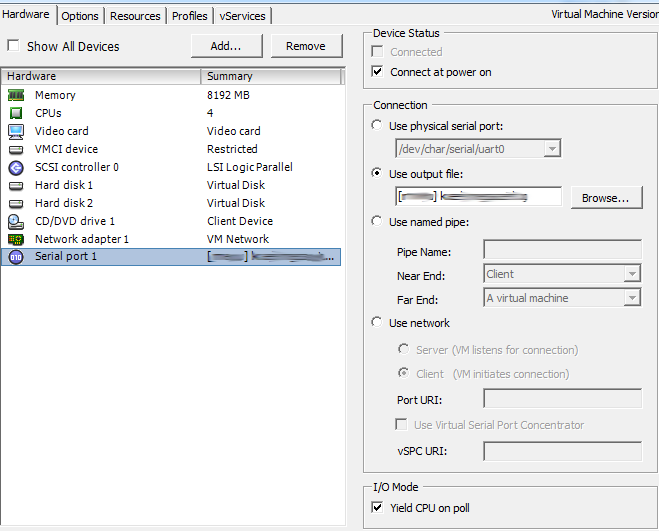 In the vSphere Client, right-click the virtual machine and choose Edit Settings. 4. 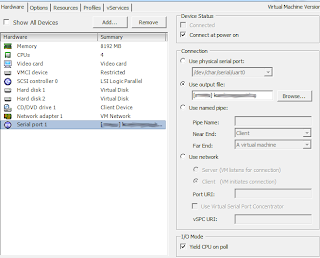 Under Advanced, select General and then click Configuration Parameters. 6. 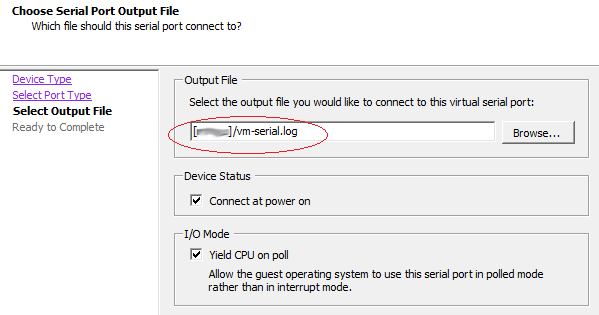 In the new row, enter "answer.msg.serial.file.open" for the Name and enter a Value of either "Append" or "Replace". 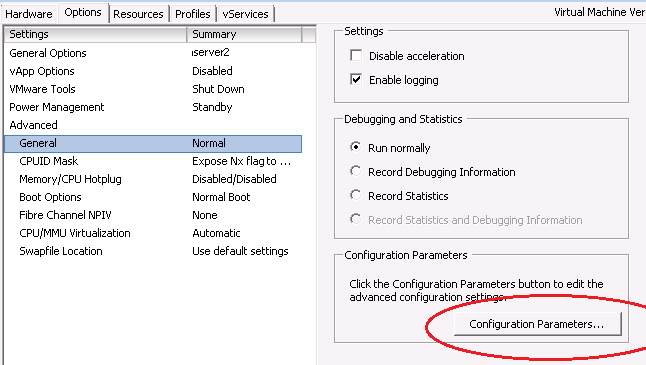 7 .Click OK in the Configuration Parameters window, then click OK in the Virtual Machine Properties window.